THANK YOU to everyone for your very generous support of our Children’s Day Program’s “Make a Difference Day” Coat Drive and our Thanksgiving Food Drive. 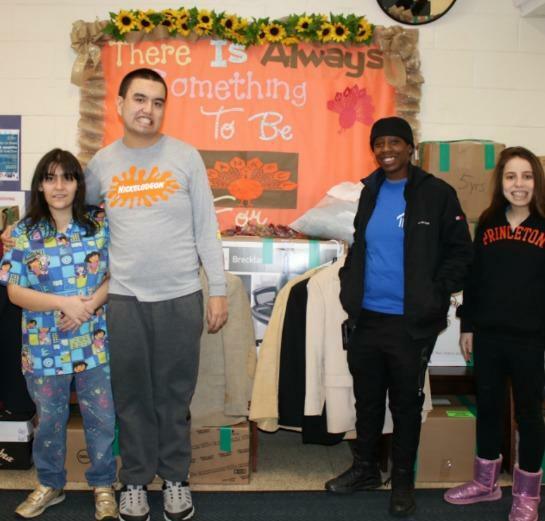 Because of your contributions, we were able to donate 16 boxes filled with winter coats, sweaters, hoodies, jackets and assorted winter gear, such as scarves and gloves. 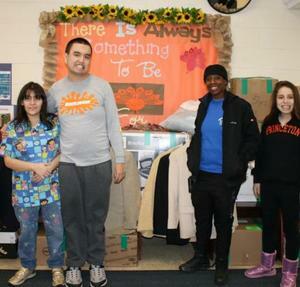 In total, there were more than 150 items of clothing. The Thanksgiving Food Drive yielded a total of 17 cases of food. A representative from the Interfaith Nutrition Network (INN) picked up 16 cases of clothes, one bag of miscellaneous items, and eight cases of food for their guests. Our Children's Day Program vocational team members delivered the remaining nine cases of food to the Gerald Ryan Outreach Center in Wyandanch. Again, thank you to everyone for your generosity and care for our neighbors in need.